Happy Friday friends! We are heading out to Crop & Create Toronto today! If you’re joining us, we will see you there in a few hours. If you’re not joining us or don’t know what a Crop & Create event is, its 3 days of 175 ladies sharing our mutual love of papercrafting! Attendees will spend their time working on many projects, taking amazing classes from industry experts, spending time with their crafty friends or meeting new friends and eating some great food. This will be our 46th Crop & Create and they just keep getting better and better. Our guests this weekend will enjoy the many treats our incredibly supportive industry partners have sent for them along with the fantastic goody bag design team member Nicole Nowosad has put together for them. For more information about Crop & Create and to join us at an upcoming event, be sure to visit our website! Before we head off though, we have a couple extra February SCT Samplers in the office and would love to share one with one lucky reader! For an opportunity to win this awesome little package of happy, be sure to leave a comment below by February 28th. In your comment let us know where you’re from! We love hearing from our readers all around the world 🙂 Good luck! Also, if you don’t already receive the SCT Sampler each month, be sure to learn more about it on our website HERE! For as little as $12 a month (and that includes your shipping!) 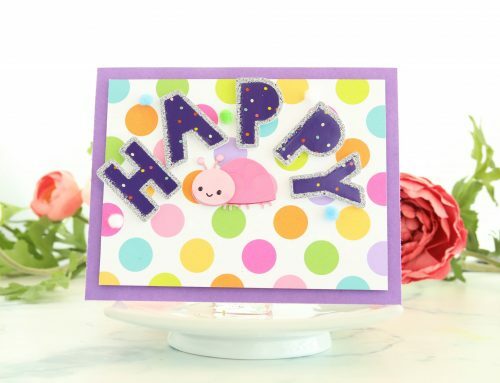 you could be receiving your very own happy mail too! Our April SCT Sampler sign up period is almost over so be sure to sign up by February 25th. 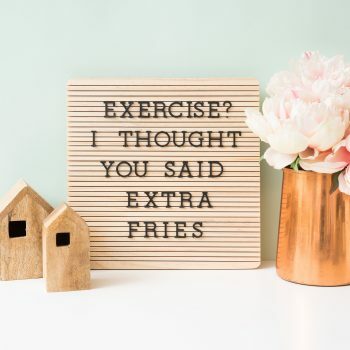 Last week we gave away a brand new letterboard from DCWV! The winner is…. Congratulations Michelle! 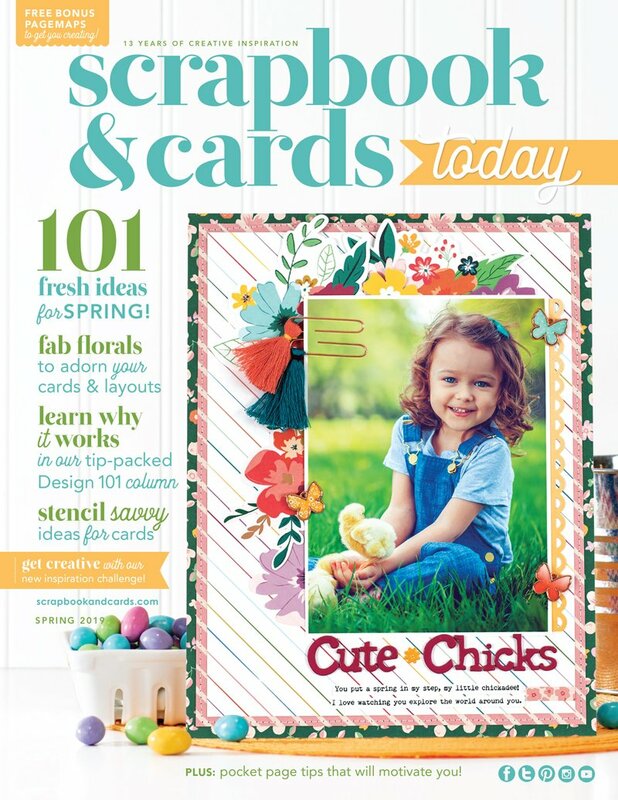 Please send your mailing information and phone number to us at ideas@scrapbookandcards.com! Have a wonderful weekend everyone! We will be live on FB and Instastories from Crop & Create this weekend so be sure to follow us on Instagram at @sctmagazine or on Facebook! This is a good sampler! I am from —– Oakville, Ontario! I’d love the chance to try one. I’m from Nebraska. Thank you for the opportunity!! I am from Texas!!! This looks really fun. Ian setting up a new craft room. It would be a great addition. Love my Sampler! The best subscription out there! Love the chance to win. I am from Missouri. Very nice colors. Love the card Jennifer Tryon made with it. Thank you for the chance to win one. Have a great weekend in Toronto! Come visit me in Sandy, UT! Hello from Michigan. I would love a little package of happy! Beautiful sampler!!!!! hugs from Woodsboro MD, 50 miles from DC, and 50 miles from Baltimore, MD. Just 50 miles from everywhere! Salute! Hello from rainy Arizona! I would love a sampler to cheer up my dreary day! Hello from Missouri. Have a wonderful weekend of craftiness. Winning world be a great way to try out a subscription. I live in Thunder Bay, Ontario! Good morning from Montana, beautiful Big sky country! I would love this beautiful sampler kit! What an adorable collection of goodies!! Thanks so much for sharing! I love the samplers I have received in the past, but my subscription expired and I haven’t renewed yet. I would love to winthis one though, beautiful colors! My grandaughter just got engaged on Valentines Day and this beautiful SCT Sampler would be perfect for my layout. Would love to win! Great sampler! I’m from Southwestern Ontario! SO cute! 💗💗💗 Just signed up for a year of samples based on this fab little package of joy! Couldn’t get tickets to the show so winning this would be a close second! Happy Friday greetings from Saskatoon, SK 🙂 Thanks so much for the giveaway today – awesome way to start the weekend! Have a ton of fun at Crop & Create this weekend!!! Have fun everyone at the crop and create-someday I am going to make it to one! This is a great sampler and I am in snowy Pennsylvania! What a fun sampler! Thanks for the chance to win. 🙂 I’m in Denver, CO! I have been checking out the samplers but not committed myself yet…hopefully I can win so I can see the wonderful Kit. Love the Minds Eye and Heidi Swapp items. Great way to try out before starting a subscription. A great sampler and would make a great gift for my daughter! I’m from the great mitten state – Mount Morris Michigan. Love this sampler. Thank you for the opportunity to win it. I am from Montreal, Quebec, Canada. This looks like a fun sampler. A much warmer hello from Winnipeg! Hello from chilly Medicine Hat, Alberta! Greetings from Texas–where I wished I lived close enough to go to a Crop and Create! What a wonderful giveaway! I’m from Navarre, Florida. It’s located on the Florida Panhandle! Fantastic sampler!! Thank you for the opportunity. I am from Thunder Bay, On. Have fun at Crop & Create! Nice sampler. I think it is great that you are always doing these giveaways. I live in a suburb of Phoenix, Arizona. I wish I could be at Crop & Create. I miss going to things like that. Have a great time those who are going. I am like so close – in Richmond Hill! One day one day I will find the opportunity and time to go Crop and Create! What a fun kit! I’m originally from Georgia, USA, but my family and I moved to Alaska last spring! I am from the PNW. Port Angeles, WA. USA. I live in the Twilight movie series backyard and am blown away everyday I wake here…still after all these years! ooooh the colors of this kit make me long for spring! I’m from a suburb of Baltimore, MD! Great sampler. I am from Ohio. So exciting. I didn’t have a chance to sign up for this year but loved all the 2018 samplers. I’m in Ottawa Ontario. Love everything SCT does. Must increase my income so I can increase my scrapbooking budget lol. I would love to try one. Thanks for the opportunity to win. I am from Michigan. Love watching the blog for inspiration. I love my sampler every month, Just enough new product to experiment with. Would love to win a second one this month. Don’t think my comment went thru. Beautiful kit. I have been contemplating signing up but can’t quite commit. This kit may be the one. Would love to win one. Wishing you all a super fun weekend at C&C – wish I could be there. I love in Victoria BC 🙂 Would love to win this little treasure packet and then I would give it to my bestie who moved away to Bakersfield CA. Hi! I’m from Missouri but now I live in NJ. Thank you . I was super excited when Catherine told me when I checked into Crop and Create. I can’t wait to use it. Would love to win this! So pretty! Thanks for the giveaway! From Alberta. I subscribe to your newsletter & love, love, love all the wonderful things on SCT. 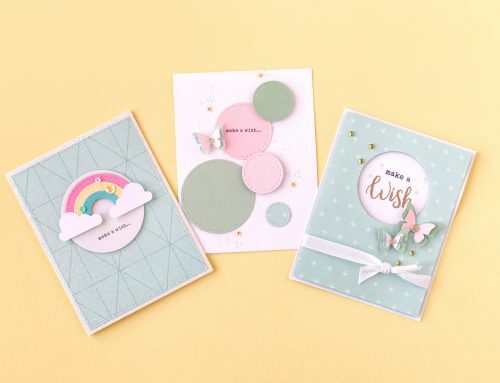 I am new in card making & just want to try everything! I live in Southwest FL. Be nice to have a Crop & Create here! Really enjoy seeing the variety in the Sampler and would love to win one to give it a try. I live in Florida and it’s heating up already so stay inside with the AC and would love a fun project. Thank for the Giveaway!! Hello from Utah! This looks like a fun, cheerful sampler pack of things I would love to try! Wishing you a Happy Friday from Ottawa and thanks for the chance to win the lovely sampler. Just celebrated our 60th anniversary and this sampler would be great! Just cleaned up from another snow storm here in Lisbon, MD. Hello from Florida! 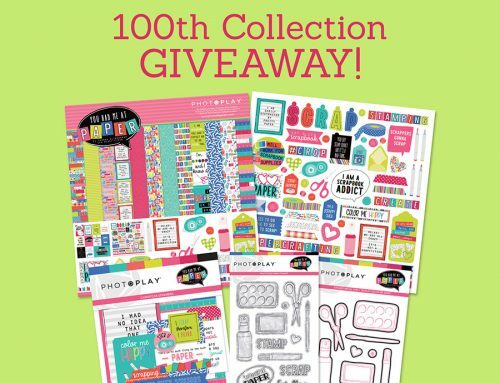 This sampler is so full of fun products, thanks for a chance to win. Hello from Northern Virginia. The SCT sampler looks like fun. Hi from Arlington, VA. So many cute goodies! Hello SCT! I’m from the bluegrass state of Kentucky! Winning one of the “samplers” would be a great way to try them………Saskatoon, SK. Thank you for a chance to win! I am in Penn Valley, CA. Your samplers, your kits, your magazine…they’re all the best! Chock-full of great products and inspiration! This would be an awesome win for a girl from Southern Illinois! Hope you all have one good heck of a time. Wish I was there with you! Hello from Calgary, Alberta! thanks for the chance to win! I’m from Dove Canyon, CA and would love it you would do a Crop and Create in California! Would love to try out the SCT sampler here in the Nation’s Capital (Ottawa)! Feeling envious of all the lucky peeps headed to C+C Toronto, and looking forward to Cornwall in the fall – our room is booked! This is a really wonderful Sampler. Thanks for the opportunity to win! A fantastic collection of great brands! I didn’t know you had a sampler pack! I would love to sign up, but maybe you could offer a different style? I prefer a more subtle color – vintage/grunge look, so all these bright colors are something I would want every month. Just a thought! Thanks for a chance to win!! Great sampler items! I love the happy colors and pretty images on the papers. I have lived in the beautiful state of Oregon all my life. Brooklyn Park, Minnesota and I would love to win! Thanks for the chance! I have been wanting to try the Sampler for a while now. This would be a great way to test it out. Such a great variety! I’m from Winnipeg. Hello from the northern suburbs of Chicago, Illinois! I would love the opportunity to win this sampler and try it out! This is super cute. Swans are going to be popular this year, apparently. I’m seeing them everywhere now. Thanks for the opportunity. I’m from Southern Ohio. Hello from Michigan! What a cute sampler set!! Oooh, I love kits. I grew up in Montana but now I live in California — less snow to shovel! Thanks for the opportunity to win. Awesome sampler – I’d love to be the lucky winner! Have an amazing time at C&C Toronto! I would love the chance to try this kit. I am in Central Massachusetts. Coming over from Northern California to say hi! I just love the cheerful colors in this Sampler and it would definitely motivate me to start scrapping photos of my two granddaughters! Thanks for the chance to win. TN. Thanks for the opportunity to win. OH! A very pretty prize package. From Riverside Albert, New Brunswick, Canada. Have a great time at the Crop & Create andyhanks for the giveaway. I’m from Michigan. I really wish I could attend a Crop & Create! Unfortunately my body doesn’t allow me to do stuff like this! I DO love this Sampler and would love to create with it! Have a great time at your event and I will be there in my heart! TFS! What a lovely package of goodies! Hello from Amherst, Nova Scotia. Love the roses in this sampler. Good Luck everyone! Would love to win one.. I’m from Winter Haven, FL. Thanks for the giveaway, I am from Las Vegas, Nevada!!!!! Hey, Y’all! I commenting from North Carolina. 😀 Thanks for the chance to win. So many goodies. Im from IL. This sampler looks so bright and cheerful! I’m in Sydney, Australia. Greetings from Victoria, Minnesota (Twin Cities area)! Would love the chance to be creative with a sampler. So many amazing items to try out! The colours in this sampler kit are so pretty! I’m from Edmonton. How cute are these swans! Hello from Eastern Oregon! My nearest big city is actually Boise, Idaho. 2 hours away. Most people think of Portland when they think of Oregon. Portland is a five hour drive from where I live! I love all the colors of the Feb. Sampler. This kit would work perfectly with the Feb. prompt for the pocket scrap-booking class! Color! Thank you so much for the opportunity to win such a great sampler kit! It’s BEAUTIFUL! Love the colors! Reader/Subscriber from Chicago, IL USA! Hello! I am from Vancouver, BC and will be at the Calgary Crop & Create with my sister and my bestie and we cannot wait. Every post you all do about Crop & Creates makes me even moooooore excited! Have a great event in Toronto! when I opened it! I would love to win another one and gift it to one of my wonderful crafting buddies! I’m from Kodiak, Alaska! 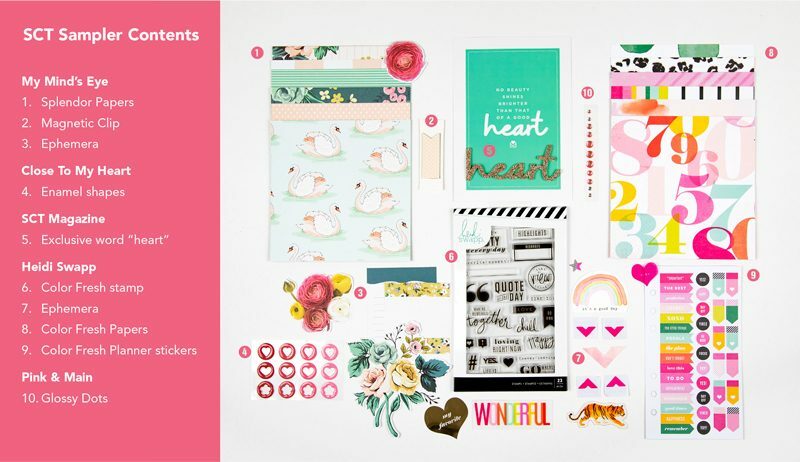 I’ve signed up for the Sampler, but my first one doesn’t come until March – would love to have this February set! I’m drooling over the Glossy Shapes! Thanks for this opportunity! Hello from Cambridge, Ontario! Thanks for the chance to win this amazing sampler package. I love it!! Hi from Winnipeg, MB! I’d love to win the February sampler. I signed up for the sampler to start in March and am really looking forward to seeing all the lovely goodies! Thanks for the chance to win. A fun giveaway! I’m from Seabeck, WA. Ooooh! A Sampler. So much fun to see the different products. Even more fun for a chance to win them! I am from Ancona, Italy! Love this kit, very pretty! I live in Bergen, Norway. Very pretty sampler kit. From Comox, B.C. I would love this. I’m from Oklahoma! Greetings from Indiana! This sampler would make a great birthday present for me! Thanks for a chance to win. I am from Victoria, B C Canada. We no longer have a brick and mortar scrapbook store here. 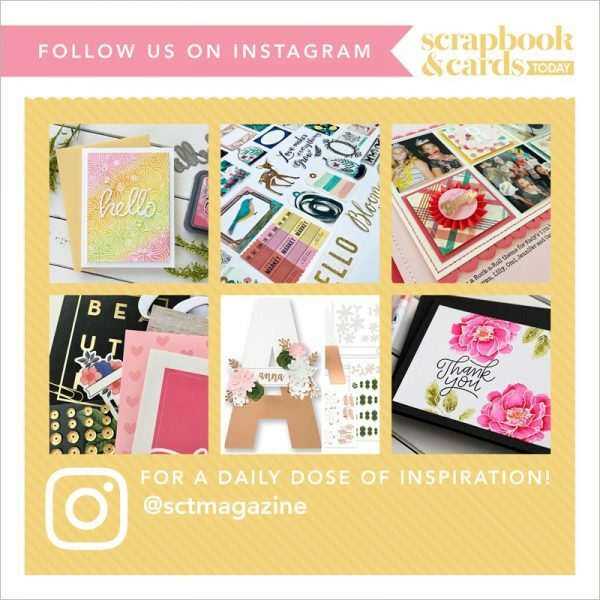 I subscribe to SCT am a 12×12 scrapbooker. I have been wondering if the sampler would fill my stash . Beautiful collection! Oh boy! I sure would love to win this SCT sampler. I have considered so many times to order it but the shipping and the import tax just make it so incredibly expensive. I am from Vienna, Austria and really appreciate the chance to win these goodie! What a great opportunity to try your samplers. Thank you. I have been thinking of giving the SCT Sampler a try so winning one would be great. Thanks for having a fun giveaway! I’m from Northern Illinois where the weather has been so bad; schools closed and unable to get to work. I was lucky I was able to craft but need to restock. Would love to win the sampler 😊! I’m from Edmonton, AB and I’m getting tired of these dreary winter days! These bright colours are a great pick me up! Great looking kit, I love all the bright colors !! I’m from Idaho,love samples, especially when it has to do with crafting!. Oh la la..love these sample kits! Gives you a little pleasure in playing with various papercraft from difft companies! Hope to win one and try it! I just signed up for monthly SCT kit—don’t want to miss another kit! Ty for the chance! Hi I’m from Phoenix, Arizona! Love your magazine and your generosity to share new products. I would love to try one of these sample kits! So clever and fun! looks like SO much FUN2create with!!! Great sampler. Thanks for the chance to win. It is so pretty. Thank you! Wowser!! 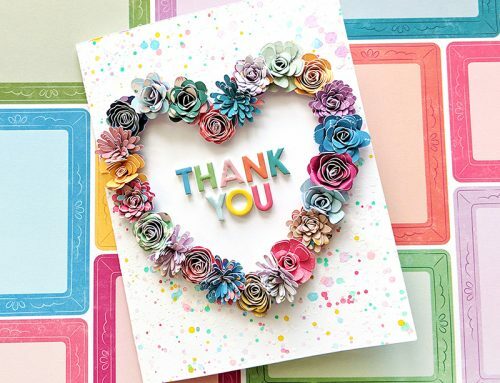 Look at all those bright springy colors in the sampler kit!! Would love to win it! Thank you for the chance to win one!! Awesome mix of goodies would love to have a chance to play with them as I missed the sign up for this one! Sampler would be awesome to win. I live in Marshall, Minnesota. The SCT Sampler for February is beautiful! I’m from Edmonton Alberta and I’d love to play with these products! I live in Orange County, California. That is in southern California. I am from Charlotte, NC. I love the colors in this package and would live to win it. What a great Sampler and can’t wait to see it in person. Thank you for the opportunity to win. I’m from Kailua, Oahu, Hawaii. I’m from Happy Valley-Goose Bay, NL. Lots and lots of snow!! This kit is so lovely… ON. Hi- I’m from the Gulf side of sunny Florida. I love all the gorgeous shades of pink in the set. Already have plans for that swan paper. Thanks for the chance. Would love to try a Sampler – especially one this cute! Creating and crafting in rainy North Carolina! I’m from Alberta! Thanks! Looks wonderful! Love the colors!!! I’m from Happy Valley-Goose Bay, Newfoundland and Labrador!! Lots and lots of snow here!! 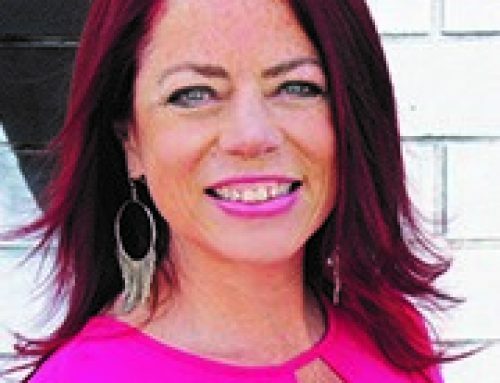 What a cool win this would be for this Waynesville Missourian! Thanks for the chance to win a sampler. I would love to subscribe but I was too late. I’m from Ottawa! I wished I signed up for SCT Sampler a long time ago. It’s looks like such a cute goodie bag of treats. I’m from Winnipeg, Manitoba, Canada. Yes it is Winterpeg alright!! Dress warm when you visit us here! Thank you for the chance to win a sampler!! From the Jersey shore. Missing my samplers here in West Grove, PA. Had to cancel due to retirement budget so I would love to win this kit. Thanks for the chance! Thanks for the chance to win a sampler! From Spring City, PA.
Great looking kit! I live in Russia, Ekaterinburg. This kit looks great! I’m from Lake Villa, Illinois. Far north suburbs of Chicago. So excited for the chance to win! Thanks! What a great prize. Thanks. Awesome sampler. I’m from Collingwood Ontario. I live in Maple Ridge BC, and boy do we miss you out here! Please come back!!!! Wow. This is a beautiful sampler. I am from Kingston ON where we just go a new craft store. Very cute sampler. Thanks for the chance to win it. Such a lovely sampler. I’m in St Marys Ontario and would love this. Great selection of products. What a great sampler!